Florida lawyer Melissa Wilson sued San Antonio lawyer Heather Clement Tessmer and her firm over use of a slogan that's similar to the trademarked one that Wilson holds. 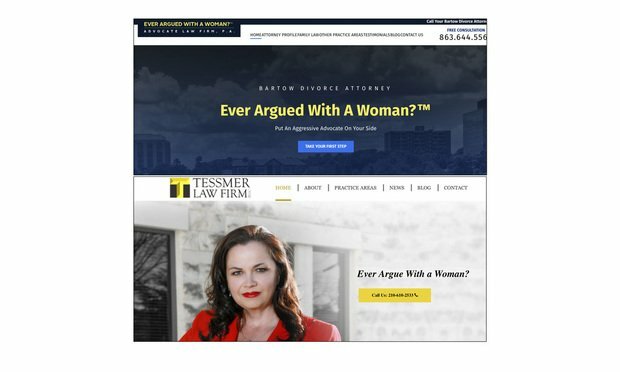 The “Ever Argued With a Woman?” website, above, and the Tessmer Law Firm website, below. Florida lawyer Melissa Wilson, who has used the slogan “Ever Argued With a Woman?” since 2007, is doing more than argue with San Antonio lawyer Heather Clement Tessmer.